Our wallets, like our lives, are becoming digital. When buying online, unlike in a store, buying isn't always a swipe away. You have to enter your card data, enter your address, and, if you're shipping to a friend or family member, another address. 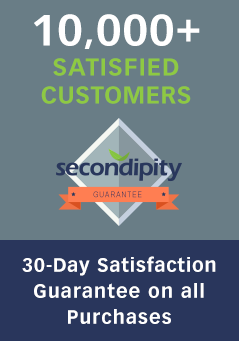 At Secondipity, we're always looking for ways to make shopping more simple for our buyers. In our quest to do so, we added a new option to pay: Amazon payments. This means that you can checkout and leverage not only the cards and payment methods you have in your Amazon account, you can also use all of the shipping addresses also. Checkout the video for more info. Along with traditional checkout, PayPal, and Apple Pay, Amazon Pay makes it easy to shop from your computer, tablet or mobile device.